It’s May 1943. After months of chaos and mass killing, the Warsaw ghetto is quiet. The buildings that once stood are now razed—reduced to rubble and ash. The last of the inhabitants— murdered or sent to killing centers in the final strike by the Nazis to erase Jewish life in Warsaw. But what the Nazis don’t know, is that buried below the ghetto streets, is the story of what happened. 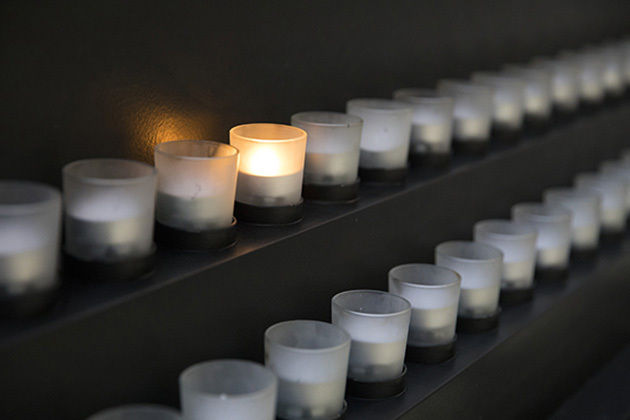 You’re listening to 12 Years That Shook the World, a podcast from the United States Holocaust Memorial Museum, examining the impact the Holocaust, both then and now. In this episode, we’ll explore how and why Jews in the Warsaw ghetto documented their own lives under Nazi oppression, and what their stories mean to us today. Joining us to unravel the history of this collection, known as the Ringelblum Archive, is Holocaust scholar Leah Wolfson. So Leah, who was Emanuel Ringelblum? Emanuel Ringelblum was a Polish historian long before the war, and already had this kind of thinking of wanting to capture the individual voices of everyday people. It was kind of the way he approached history in general, and when thrown into extraordinary times, responded in kind. He, at first, started just doing it for himself. That he wanted, upon the invasion of Poland in 1939, to really capture as much detail as he possibly could about everything that was going on, without knowing the end of that story. It’s September 1939. The Nazis invade Poland, and later force Jews to move to a designated area, creating the Warsaw ghetto. Then in November 1940, the Nazis seal off the ghetto with walls over 10 feet high, topped with barbed wire, severing the connection between Jews and the outside world. The Jews trapped inside the ghetto are subject to violence, starvation, and infectious disease. Some members of the Oneg Shabbat are historians, intellectuals, or writers, but importantly, Ringelblum invites others contribute to the archive, such as artists, poets, sociologists, children, and rabbis, in an effort to capture many voices in Jewish society. He also solicits reports from people who lived in the Polish countryside, now interned in the Warsaw ghetto, so they could understand what the Nazis were doing in surrounding occupied areas. The Oneg Shabbat asks contributors to keep their work secret, and not discuss the archive with anyone, for fear of what the Nazis would do if they found out. Most of those people never knew each other, and never knew who was contributing what, which was the nature of the archive, and they felt it was critically important to really try to tell the many different stories that were emerging as they were emerging. Ringelblum and the Oneg Shabbat gather more than just diaries—there are also studies, research and reports; essays, poems, and folklore. They also collect newspapers, maps, candy wrappers and photos: pieces of their reality. Leah, can you paint the picture of what’s going on in the ghetto at this moment? It’s sealed off in 1940, and you have at that point around 300,000 Jews who are in around 1.3 square miles. Those 300,000 people is almost 30 percent of the total population of Warsaw. Now within the period between 1940 and 1942, you have, I would say some semblance of Jewish life. There was certainly, there was deprivation, there was starvation, there was forced labor, there were all these very harsh conditions, but nevertheless, you have Jews doing what they knew how to do best and what they had done for many, many years when faced with other types of persecution. They create soup kitchens and self-help organizations and schools and homes for the elderly and everything that you need to try to maintain as much of society as you can manage to maintain. We who know the end of the story, so easily project it onto the beginning. We know how this story ends. We look at that period, that earlier period, and think, “What good could possibly come out of having a school or a hospital, or why do we care about Passover matzah? This doesn't make any sense.” And we forget how immediate people deal with their circumstances, right? You deal with what's in front of you. We think about the Holocaust, “capital H,” and we think about the big events that shape it. We are used to thinking of Auschwitz. We’re used to thinking of these moments that feel very removed from us, and really what this archive does amazingly well is it reminds us of that very everyday-ness, so to speak, of persecution. What are you worried about? How are you gonna hide your child? How are you gonna to try to get enough food? How are you going to communicate with someone who’s outside the ghetto? How are you gonna do all of these daily types of things that are made very different in this particular time and place? “How much longer to go? Eight hours, but you can’t count the last hour from noon on. So there are really only seven hours to go. In the street, the smell of fresh corpses envelopes you. and yet stays in one place —that’s what your feet are like. They seem to you to be moving backwards. The world’s turning upside down. A planet melts in tears. In 1942, members of the Oneg Shabbat come into contact with several escaped prisoners of Nazi death camps, and other eyewitnesses. 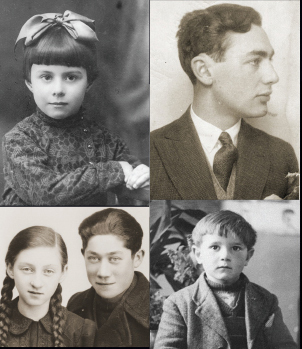 Their stories confirm the rumors of the Nazis’ systematic murder of Jews in Poland and beyond. Ringelblum uses these testimonies to compile reports that demonstrate the scope of the annihilation. They smuggle the information to Britain though underground channels, and on the morning of June 26, 1942, there’s a breakthrough: information from Ringelblum’s reports about Nazi murders is broadcast on BBC radio. For Ringelblum, this restores hope that the Jews might be rescued. But just a few weeks later, the Nazis strike with a massive deportation of Jews from the Warsaw ghetto, which lasts virtually without stop for three months. Now, Ringelblum feels they must protect the archive immediately by burying it underground. And for some, the archive takes on a new meaning: a chance to be remembered. For people in that situation, not knowing where the end is going to be, there was no assurance that there would be a significant population of survivors to tell this tale. These documents were gonna tell it for them. “What we were unable to cry and shriek out to the world, we buried in the ground. I would love to see the moment in which this great treasure will be dug up, and scream the truth to the world, so the world may know all. So the ones who did not live through it may be glad, and we may feel like veterans with medals on our chest. We would be the fathers, the teachers and educators of the future. And with these final words, David and a few others, pack a cache of the archive into ten metal boxes and bury them under a Jewish school in the heart of the Warsaw ghetto. By the end of 1942, more than a quarter million Jews are deported to forced labor or concentration camps, and thousands die of starvation or disease. Then in early 1943, the Nazis threaten to liquidate the ghetto, prompting members of the Oneg Shabbat to bury a second cache of the archive inside two milk cans. In response to the Nazi’s threat, the Warsaw ghetto uprising begins, when more than 700 Jewish resistance fighters take on the heavily-armed Germans. With this fight, the Jews are able to stave off the liquidation for nearly a month. It should be said that none of the people involved in that had any illusions that they were going to drive the Germans out. This was very much a battle in the death throes. So, 27 days later, the Nazis burn the ghetto to the ground and they arrest, deport, or murder, some combination thereof, those remaining 60,000 Jews. Now, there's a lot of chaos, at that moment at the end, so there are groups of people who were able to escape, so this is not a complete annihilation at that exact moment, but for all intents and purposes, that's when the life of the Warsaw ghetto ends. By now, some surviving members of Oneg Shabbat, including Emanuel Ringelblum and his family, have gone into hiding outside the ghetto. He continues to write. But soon after, a Polish informant tells the Gestapo of the his whereabouts, and in March of 1944, Ringelblum, his family, and others are found and executed. Of the dozens of members of Oneg Shabbat, only three survive the Holocaust: archive secretary Hersh Wasser, his wife, Bluma; and writer Rachel Auerbach, leaving the fate of the archive in their hands. One year has passed since the war ended. With the Warsaw ghetto still in ruins, the surviving members lead a search team that begins digging for the archive under piles of concrete where the Jewish School once stood at 68 Nowolipki Street. And they wonder, even if they can locate the archive, will the wartime paper have stood up to the Nazis’ destruction, or exposure to damp weather? After much searching, crews locate the cache, and one by one from below the rubble, they unearth all 10 metal boxes. Some materials are corroded and moldy. Some photographs are ruined. But tens of thousands of pages are intact and legible. Those stories of the Polish Jewry survived. From the very beginning, the Nazis documented their own crimes, meticulously. Which is in part how the world came to learn of the scale of the Holocaust. Leah, can you talk about the records the Nazis left behind? This is one of the most well-documented crimes in history. We have reams of documents about this deportation, and that deportation—and not to say those documents aren't valuable— of course they are. They’re, in fact, critical. But they are extremely objectifying. They talk about people as pieces. There's a deportation list from, for example, Corfu, Greece, where there was a very small Jewish community that was almost completely, effectively completely annihilated, that is very cold, and is very much like, “This many people went from Corfu to this place, and then they got on this train, and then they arrived at Auschwitz.” There we have it. That's all that document needed to say, because, that's it. So, I think when we only rely on perpetrator documents, we get kind of the faceless mob. We get these big numbers, and it’s so hard to wrap your head around a number. What does six million even really mean? This was what was so precinct about what Ringelblum was doing. He saw the value in those stories. These are heartbreaking stories, and if you find yourself even a little bit into one of them, then that victim becomes a person, instead of that victim being one of six million, or one of the many people who were killed in Warsaw. I think that's what this does so well, and it reminds us that the Holocaust, ultimately, is the story of individual people. And their stories leave us with the truth of what happened to the Jews in the Warsaw ghetto. Some of the contributors, who wrote in the face of death, understood the gravity of their words as evidence. Four years after the first cache was found, the second cache of two milk cans was discovered by Polish construction workers. There was also a third cache of the Ringelblum Archive that was buried one day before the Warsaw ghetto uprising in 1943. And many years later, archaeologists searched in an estimated location, which is now under the garden of the Chinese Embassy in Warsaw, but the third cache has never been found. Those stories of Jewish life and resistance remain below the city of Warsaw. This has been a conversation with Holocaust scholar Leah Wolfson. She’s the Senior Program Officer at the Jack Joseph and Morton Mandel Center for Advanced Holocaust Studies. One of the milk cans that housed a portion of the archive is on loan and displayed here in the US Holocaust Memorial Museum’s Main Exhibition. The entire archive is accessible electronically from the Library and Archives Reading Rooms at the Museum. The rest of the archive resides in Warsaw, at the Emanuel Ringelblum Jewish Historical Institute. Our knowledge of Emanuel Ringelblum and the Oneg Shabbat is indebted to the extensive efforts of historian Dr. Samuel D. Kassow, author of the book, Who Will Write Our History? : Rediscovering a Hidden Archive from the Warsaw Ghetto, and partner in the 2018 film, Who Will Write Our History. The translations used in this episode are from publications by the Jewish Historical Institute, Dr. Samuel D. Kassow and David Roskies. The music used in this episode is by Kai Engel and Puddle of Infinity. Thanks for listening. And if you enjoyed the show, please subscribe wherever you get your podcasts.